Michael Santoli is a financial journalist with over 25 years of experience covering the markets for both print and broadcast media. He has been a Senior Markets Commentator at CNBC since 2015. Santoli brings his extensive markets expertise to CNBC’s Business Day programming, with a regular appearance on CNBC’s “Closing Bell” . 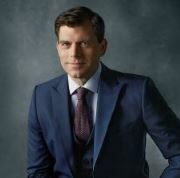 In addition, he is the host of “Trading Nation” and contributes to CNBC.com and CNBC PRO, writing regular articles and creating original digital videos. Prior to joining Yahoo in 2012, he spent 15 years as a columnist and feature writer for Barron’s magazine. From 1993 to 1997, Santoli was a reporter at Dow Jones Newswires, covering the securities industry, and was awarded two Dow Jones Newswire Awards for distinguished real time journalism. He began his journalism career in 1992 as a reporter and editor at Investment Dealers’ Digest. Santoli is a graduate of Wesleyan University and lives in New York City.